A large blackness silhouettes itself against the flowing waters of a quick moving river. This large-bodied creature meanders along the bottom. In a clear stretch of the river it reveals itself. 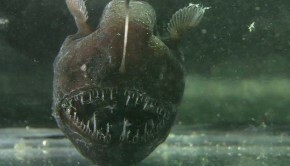 Enormous appendages frame its face, marking it apart from nearly every other fish. Catfish are a strange animal. One of the most prized catches amongst fishermen, their unusual appearance is also a subject of fascination for many people. Upon viewing a catfish it is plain to see why they are given their name. Their large barbels look remarkably like feline whiskers. From the frozen wilderness of the Himalayas to the warm waters of the Pacific, from fresh water to salt water lakes, catfish are amongst the most adaptable animals on the planet. The majority of catfish are bottom feeders. Because of this, they sink to the bottom of water and are said to be negatively buoyant. Their source of food depends on the species. 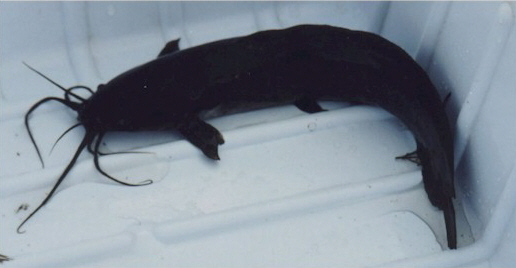 Some catfish are parasitic while others eat rotting corpses that lie on the sea or river bottom. Other, larger catfish will eat almost anything from frogs to snakes. An incredibly varied and adaptive species, the catfish accounts for one-twelfth of all the fish on Earth. But this is only half the story. What truly makes catfish such a remarkable family of fish is the sensitivity of their senses. They have the best sense of taste of any back-boned creature. This is achieved manly by having more taste buds than any other vertebrate. Every single available space on their bodies is allotted for taste-sensing purposes. Even their whisker-like barbels are covered in taste buds. Furthermore, the smaller catfish species have hundreds of thousands of taste buds on their bodies. 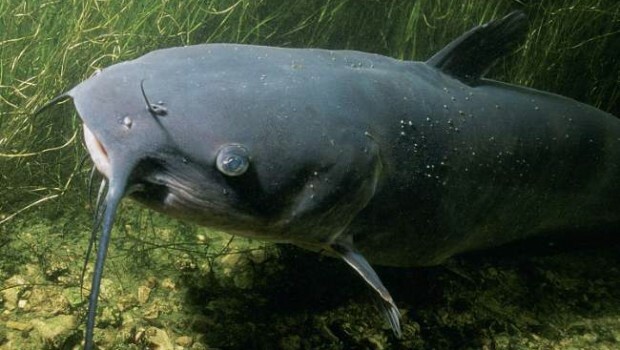 Catfish are not just possessors of great taste-sensing abilities, their sense of smell together with their hearing and touch is also second to none. They are able to smell compounds as weak as one part in a billion. 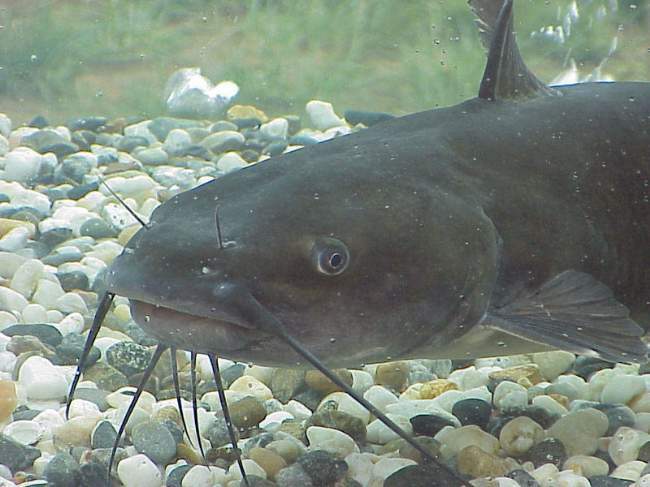 Catfish’s bodies have the same density as the surrounding water and this acts in a peculiar and remarkable way. Their whole body become an ear drum allowing them to detect the faintest noises. Even extremely low frequency sound can be detected using tiny hair-like projections inside the fish’s pores. Many Japanese people maintain that catfish can detect earthquakes days in advance so sensitive is their hearing. Unusually, catfish do not have scales. This proves to be highly advantageous and some species can breathe through their skin. Their lack of scales also results in the fish having a greater sensitivity to touch. Catfish eyesight is also acute and they can spot other fish from quite a distance in clear water. 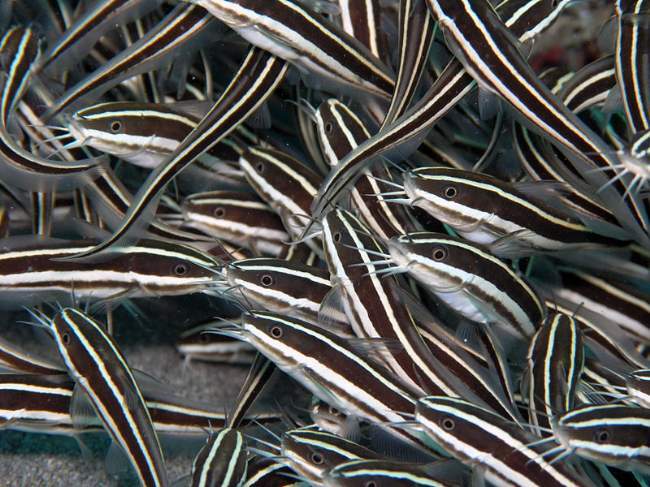 To add to their already heavy arsenal of sensors, catfish, much like sharks, can detect electrical fields in a sense known as electroreception. They use this to devastating effect when they search for their prey in mud. Catfish remain a valuable source of food throughout the world and in many countries they are a delicacy. No matter what country you live in you can rest assure that there is some restaurant that will serve catfish on their menu. Some catfish pose a threat to human health. The most infamous catfish is the Candiru. There have been widespread reports of this fish travelling up people’s urethras and lodging itself there after erecting its spines. Often surgery is the only option to remove the parasite. However, it is thought that this only happens when the victim is urinating in water. Catfish can be as small as one centimetre (half an inch) or as large as 5 metres (16 feet) in length. They can weigh as little as a couple of grams or as much as 300 kgs (650 lbs) for the European wels. Catfish are found everywhere but Antarctica. Back to Nature: Guide to Catfishes is a comprehensive read and a great guide to catfish species. For people living in Ireland or the United Kingdom you can access Back to Nature: Guide to Catfishes here. For those living in Canada you can obtain Back to Nature: Guide to Catfishes from here. For Germany: Back to Nature: Guide to Catfishes. For France: Back to Nature: Guide to Catfishes.